Cooking is more fun when you have great toys to play with, like colorful bowls and kitchen tools. 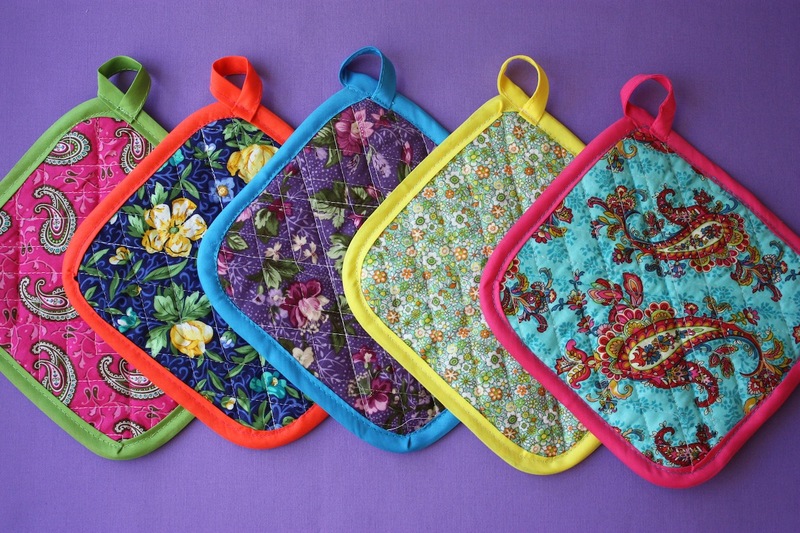 I even found a hot pink spatula last week but colorful pot holders are nowhere to be found — except in my kitchen. Because I made them. I went to Jo-Ann fabrics, got 1/4 yard each of quilted fabrics, some binding and made my own. Each fabric has a different design on the back. Aren’t they beautiful? A safety note: When I baked a cake at 350 degrees and used my new pot holder to remove the pan, a little heat came through by the time I put the pan on a rack so when I make more, I plan to use 4 thicknesses instead of just two and I suggest that if anyone makes them, to make them thicker or just use them as decoration. Next time I plan to use some leftover plain quilted fabric for my extra filler and save my fancy fabric for the outside. 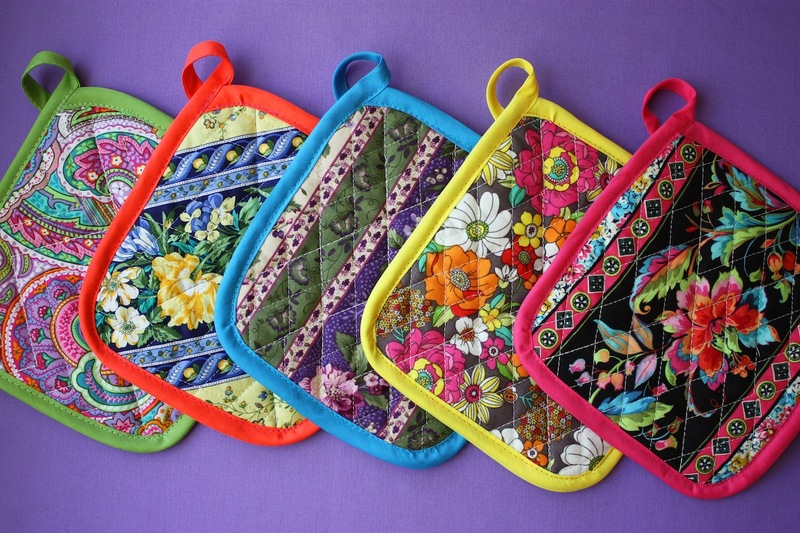 Hey, with those colors I could turn these pot holders into a bikini. All I need is some colorful string and voila! Coverage for the beach! Of course, men would have it easier. All they need is an oven mitt.